Legacy enterprise wireless LANs (WLANs) were built to support one Wi-Fi device per every three users, but today’s average employee uses an average of three Wi-Fi devices. This increase in users connecting to the WLAN is creating quite a challenge for IT admins. 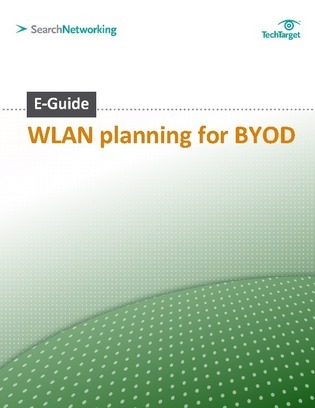 This E-Guide from SearchNetworking.com explores the impact BYOD is having on the WLAN and what you can do to support BYOD – with limitations. View now to learn more!